In an instant the lives of Liv, her best friend Morgan, and their boyfriends are forever changed when they are in a tragic car accident. Liv survives but when she awakens in the hospital she quickly realizes she has woken up in Morgan’s body. There is no going back because “Liv” died in the accident. 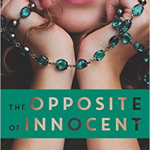 Adapting to Morgan’s life isn’t easy as she has to adjust to living in a mansion, a new unlikely boyfriend (who just so happens to be the brother of Liv’s boyfriend) and of course, a scandalous mystery to solve that brings to question how much Liv really knew about her best friend. This book starts off with a hook that instantly draws you into the story that continues to intensify until the very end. It deals with a lot of social issues teens are familiar with. Liv was in the middle of the social ladder and Morgan thrived at the top. In turn Liv must learn how to navigate this lonely new life. 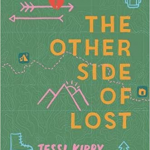 The book has a lot of hopeful notes as she starts to merge her personality with Morgan’s life and reflect on how things are changing in the world around her. The complex characters are well developed as they grow into their new roles and their secrets surface. 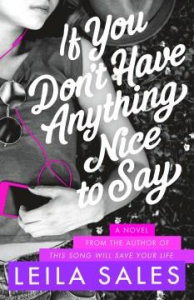 While a little awkward in the beginning, the relationship between Liv and her new boyfriend grows into something mildly sensuous and has you rooting for a happy ending. This gritty and compelling tale draws the reader in all the way to the end. The suspense and intrigue as the mystery unfolds has hints of E. Lockhart’s We Were Liars. At the same time, the emotions that run with waking up in someone else’s body and learning how to deal with it are great for fans of Every Day by David Levithan. Every Wednesday, Joel volunteers at the local soup kitchen, mostly because he has a crush on Eli, who Joel considers to be way out of his league. Instead of telling Eli how he feels, he writes text messages in his phone and saves them to draft. But when one of the veterans at the soup kitchen gives Joel a gun, Joel’s aversion to speaking up might have deadly consequences. 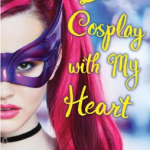 This character-driven novel features realistic characters and inner struggles that will be common to many readers. When reading Joel’s unsent messages, the format changes so that it looks like a phone screen, which is great visual relief. As a bonus, the text messages are written in a modern way–no “Y R U H8ing LOL” outdated texts here! Joel and his friends–who are white–discuss PTSD, Black Lives Matter, and other current topics in a thoughtful way that will prompt readers to consider these matters themselves. 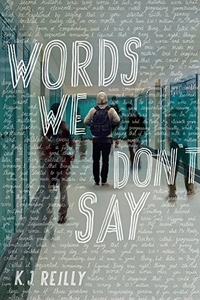 This title has a slightly John Green vibe with its quirky characters and snappy dialogue. Those who enjoyed Barry Lyga’s Bang will enjoy the subplot about Joel’s decision to keep the gun hidden from his family. This is a fresh update of the classic coming-of-age story for 2018. Former spelling bee champion and budding writer Winter Halperin alters her life forever when she makes an offensive racial comment online, which then goes viral. 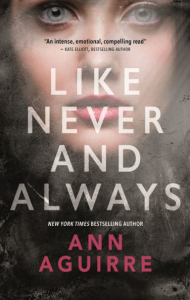 She quickly discovers that the Internet never forgets and she must face the consequences of her words for herself, her family, her friends, and even complete strangers. The online fallout even results in Winter losing her college acceptance. In an attempt to rebuild her life and salvage her relationships, Winter attends a reputation rehabilitation program, Revibe, with others who have “damaged” reputations. Winter emerges with a fresh perspective on her actions and the power of words online. Readers will not find an overly likable character in Winter and will question who is truly the victim in these types of situations. Those hoping for a redemptive story will be sorely disappointed, but this perhaps is part of Sales’ overall idea. 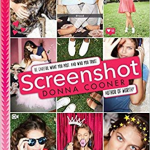 Teens will be especially enticed by the currency of this novel, which will undoubtedly generate ample discussion about microaggressions, online harassment, intentions versus meaning in reality, and victims versus villains in our viral social media culture. Try with readers of Sarah Littman’s Backlash for additional exploration of viral social media consequences or Corrie Wang’s The Takedown for a look at the even more frightening possible future of social media. 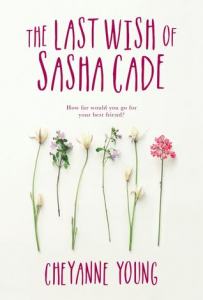 A few weeks after Raquel’s lifelong best friend Sasha Cade dies of leukemia, Raquel gets a letter from Sasha, telling her to visit her grave on a certain day. There she meets Elijah, Sasha’s long-lost biological brother. Together they go on a secret scavenger hunt that Sasha arranged to introduce Elijah to her life and push Raquel out of her comfort zone. As their adventures continue, Raquel and Elijah grow closer and Raquel finds keeping Sasha’s last wish of keeping the quest and Elijah a secret increasingly difficult. The Last Wish of Sasha Cade manages to tell a story of the grief of losing a best friend to cancer with both humor and heart. Sasha’s quest leads Raquel through the memories of their friendship, giving a bittersweet tone to the story and pulling the reader into Raquel’s love for Sasha and grief at her death. Raquel and Elijah’s relationship grows organically – slowly enough to be believable but not so slowly as to lose reluctant readers looking for a love story. Some readers might find the resolution of Elijah’s troubles a bit too convenient and unbelieveable, while others will appreciate it as a sweet, happy ending. Give The Last Wish of Sasha Cade to fans of Sarah Dessen and John Green’s The Fault in Our Stars as well those who enjoy sweet romances similar to Stephanie Perkins’ Anna and the French Kiss series.